The article explains the problem of BACKTRACK 6 is running slow/sluggish and makes recommendations on what to do about it. BACKTRACK (up to and including version 6) is running slow/sluggish. BACKTRACK versions up to and including 6 were able to use FoxPro as the database. As a relational database without a server component, FoxPro did need certain fields to be re-indexed from time to time. FoxPro does not do this automatically so the user will often see BACKTRACK with FoxPro gradually get slower especially when doing searches and look-ups. 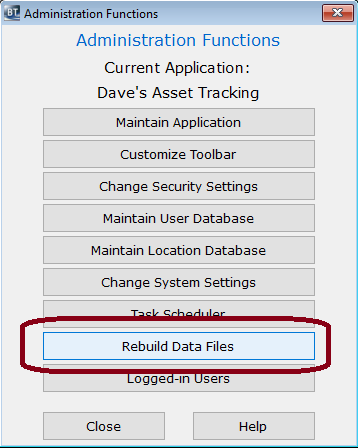 Run a ‘Rebuild’ of the database. BACKTRACK versions after v6 required the use of SQL for the database. SQL does not require the re-indexing however the option above still exists.